You may have seen the memes floating around about sugar being addictive, don't worry if you haven't, I have one below! Although the thought of sugar addiction isn't new, it is, however, a gross oversimplification and misunderstanding of human biology and neurobiology. Humans are complicated, and science helps us appreciate just how complex the human body, brain, and psychology are. 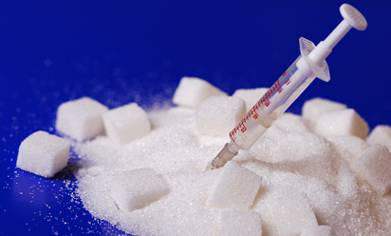 Let's chow down and break down the science in relation to sugar and addiction. First of all, addiction to a substance requires diagnosis by a certified professional using a standard set of diagnostic criteria outlined by the American Psychiatric Association in the Diagnostic and Statistical Manual of Mental Disorders (the DSM-IV). That's a mouthful, and possibly a risky opening paragraph... If you're still with me, thanks, it gets better. These withdrawal symptoms are similar for addictions to alcohol, stimulants, and sedatives... But not sugar, you dig? Perhaps you're rethinking the sugar addiction thing a little... Maybe? 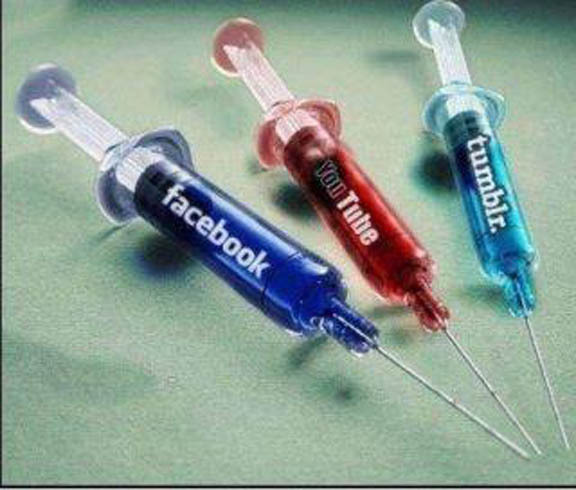 In reality, your addiction might be to social media and sensationalist soundbites. Back to point #1 about reward centers lighting up when eating, to reiterate: this is in the act, the behaviour of eating. Not in response to the substance or specific nutrient (eg: fat or sugar). Basically, if you really love the food you're eating, this reward system is activated. 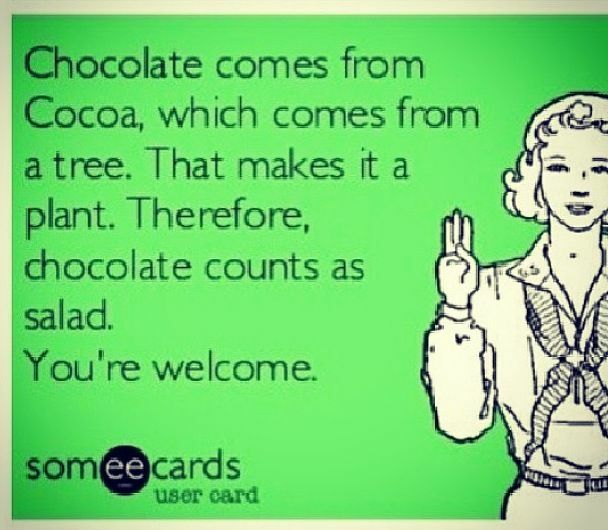 In my case, the act of eating peanut butter or chocolate, or both. 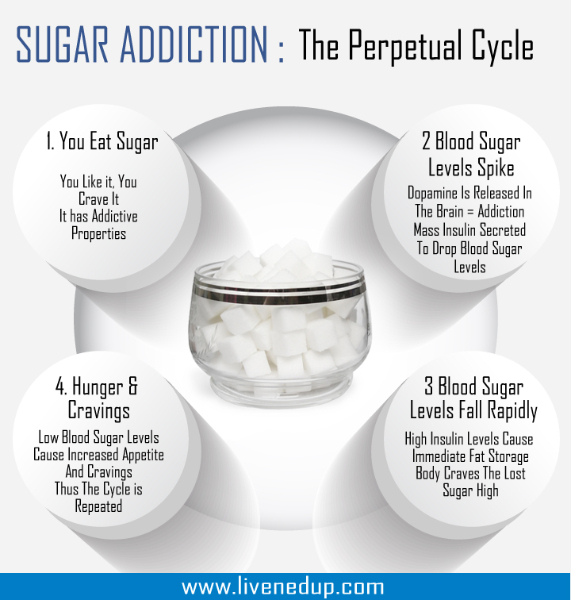 But there is no scientific link between sugar and addiction. Blood glucose levels dropping after eating any food with carbohydrates is not indicative of addiction, it's indicative of digestion and your body working correctly. There is simply not enough evidence to validate or reject "food addiction"
Just so you know, in recent years the amount of added sugar Americans eat has significantly decreased, mostly because soda consumption has decreased (yay!) BUT, the average American is still eating more sugar than is recommended. And FYI, <10% of your daily calories should come from sugar, read more on that here. I love memes as much as the next guy, but they are unscientific sound bites, not facts! But not because it's true.